A big thank you to the sales department for helping me buy my new car. Ben and Phil were exceptional. This is my second purchase from Bristol Street Motors Chingford, and it won't be my last. Looking for a new Vauxhall Mokka for sale? If you are looking to buy a new or nearly new Vauxhall Mokka at the right price, then visit your local Bristol Street Motors Vauxhall dealership. Up and down the country, we have a network of specialist Vauxhall dealerships offering an unparalleled range of Mokka cars for you to sit in, play with and test drive. Your experience will be an enjoyable and fulfilling one, and we will go out of our way to help you find the perfect Mokka. 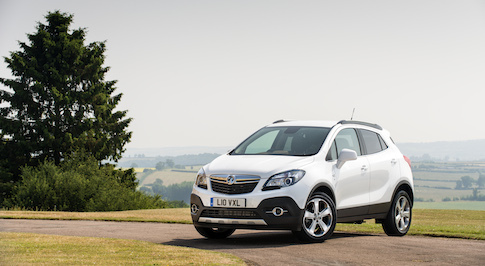 With numerous engines and trim levels to choose from, the Vauxhall Mokka is a fantastic car for practically everyone. The Mokka is a stylish and practical crossover with lots of safety and in-car technology on offer, including satellite navigation and Bluetooth. Choose from a range of economical petrol and diesel engines, all of which are punchy and refined, and enjoy the high levels of refinement and comfort every Mokka affords. The Mokka also has a very generous 356-litre boot that expands to 1,658-litres when the rear seats are folded. When you drop by a Bristol Street Motors dealership, you will be given a warm welcome and the opportunity to shop for your perfect car in your own time, safe in the knowledge that our friendly and highly trained staff are only a whisker away to answer any questions you have about the Vauxhall Mokka. Visit your nearest Bristol Street Motors dealership today. Discover your local dealership by using the �Find a Dealer� tool at the top of this page.